The awardwinning GSeries laser sights offer an even more compact frame application than traditional Lasergrips maintaining your Glocks lightweight configuration. Engineered with Crimson Traces instinctive activation the Lasergrip is engaged from the rear with your natural firing grip. 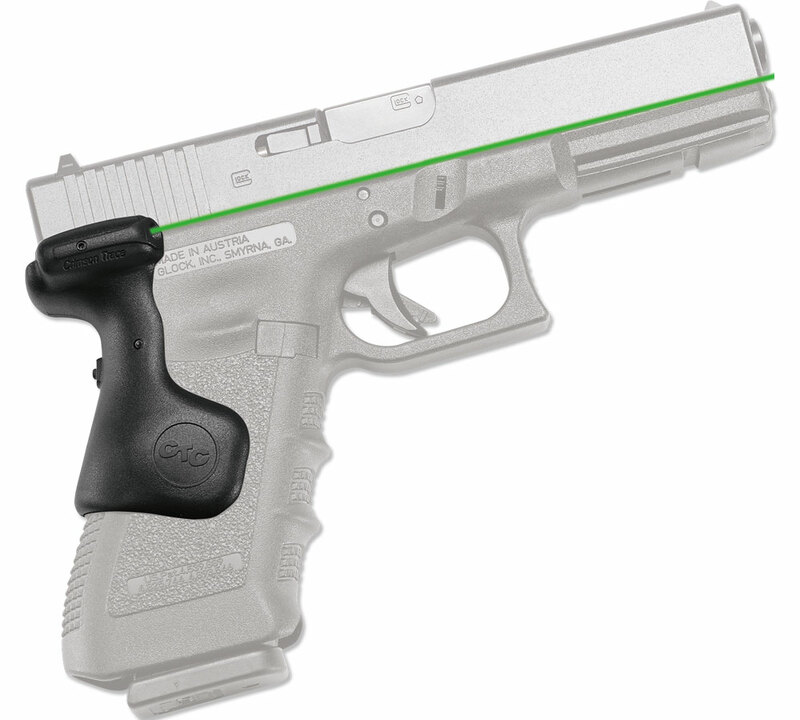 They are available with a red laser or a green laser. Crimson Trace GSeries Lasergrips have been recognized with two Golden Bullseye Awards from the National Rifle Association and a HighTech Product of the Year Award from the Firearms Industry Academy of Excellence. No other laser sight has won more awards.